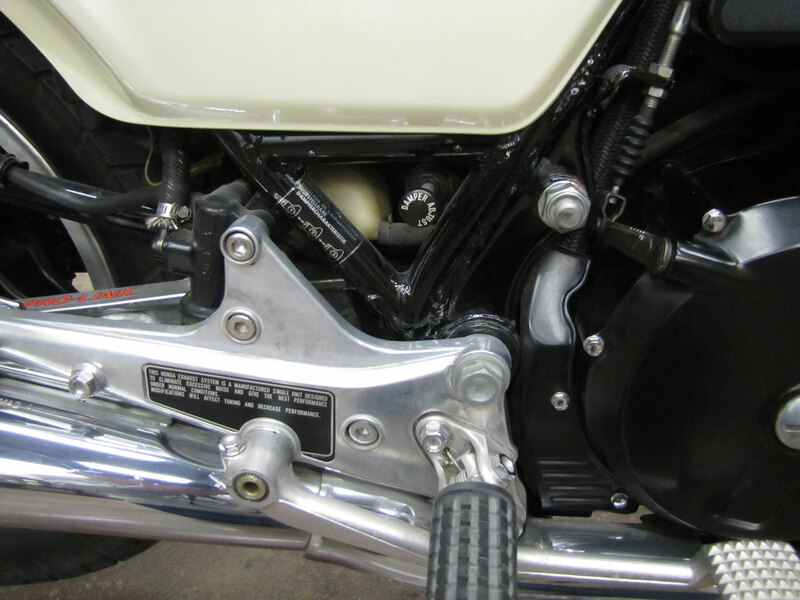 The 1970’s were years of performance wars in the motorcycle industry. 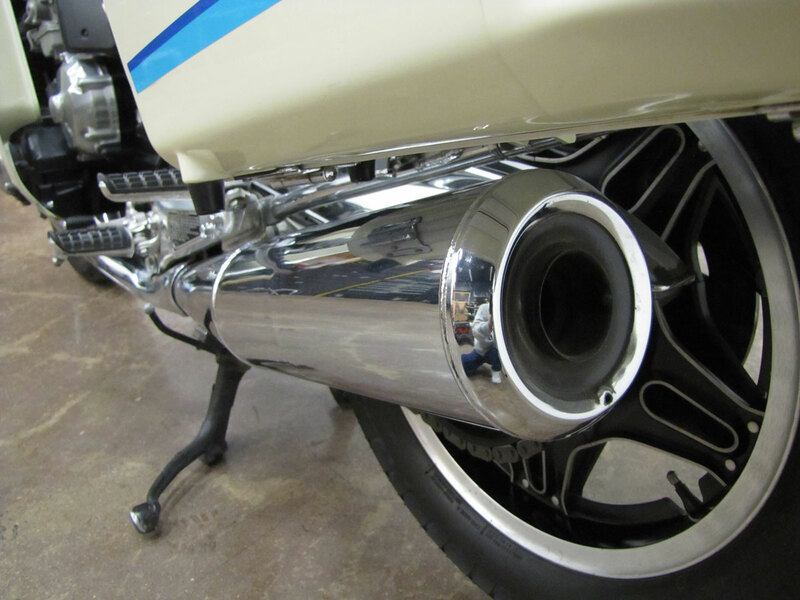 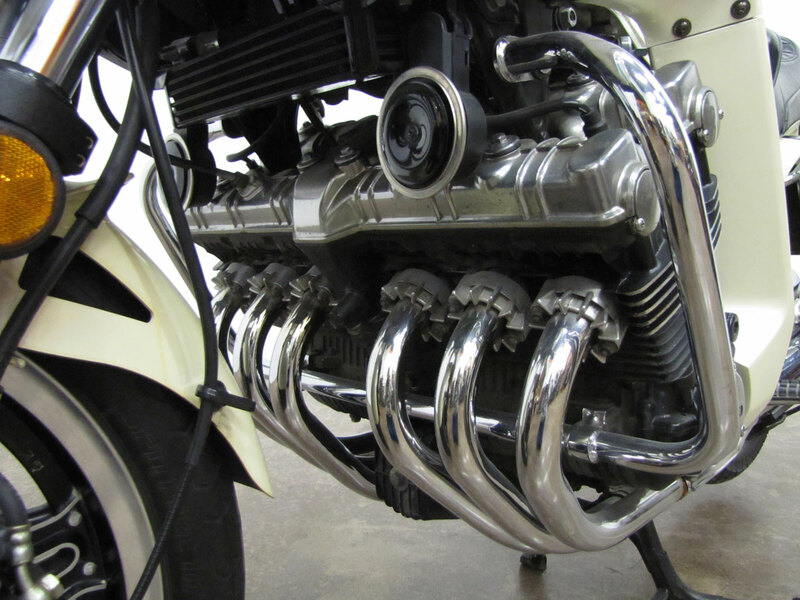 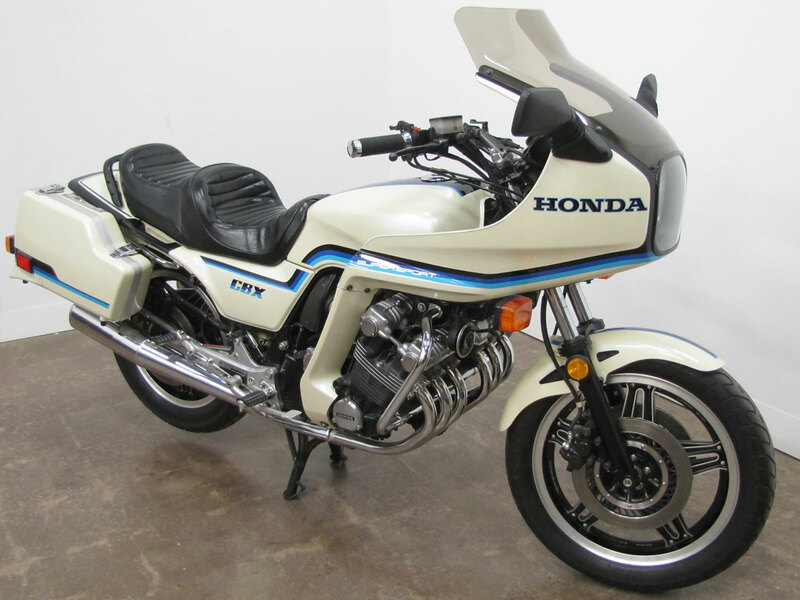 Late in 1978 Honda raised the stakes with the in-line Six-Cylinder DOHC Four Valves per Cylinder CBX1000 SuperSport. 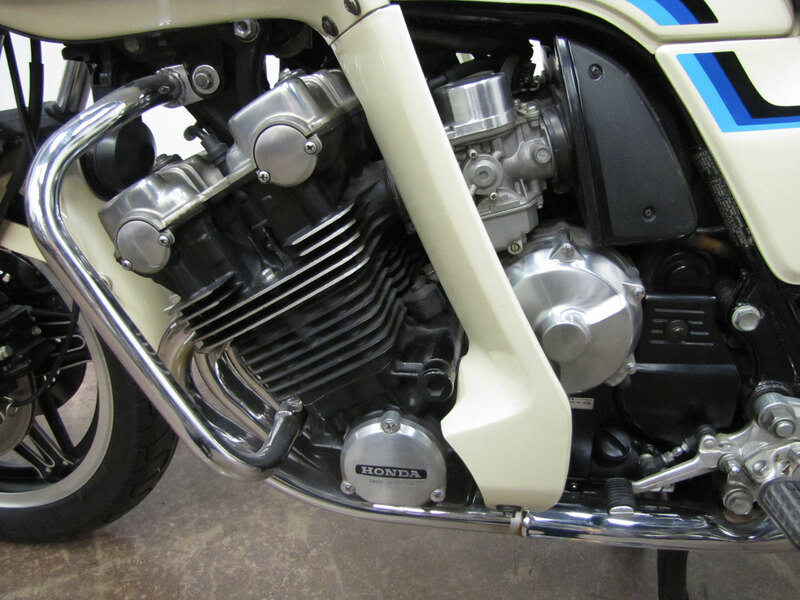 Though physically much larger, the engine capitalized on Honda’s Gran Prix winning sixes from the mid-1960’s. 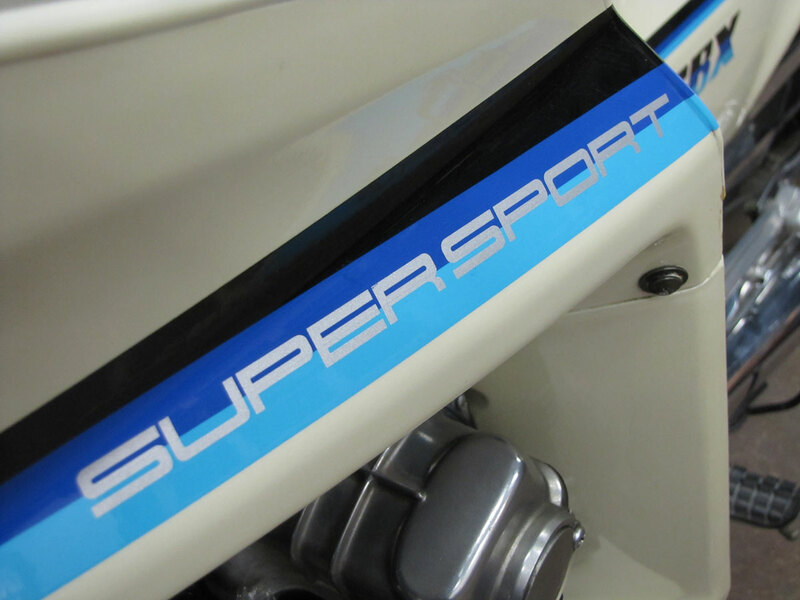 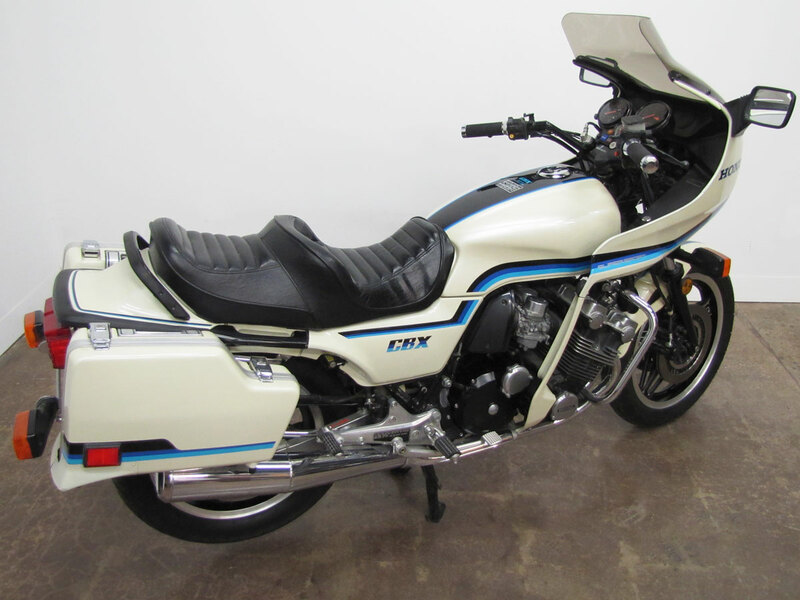 Late in 1978 Honda took the wraps off its legendary six-cylinder street bike, the CBX1000 SuperSport. 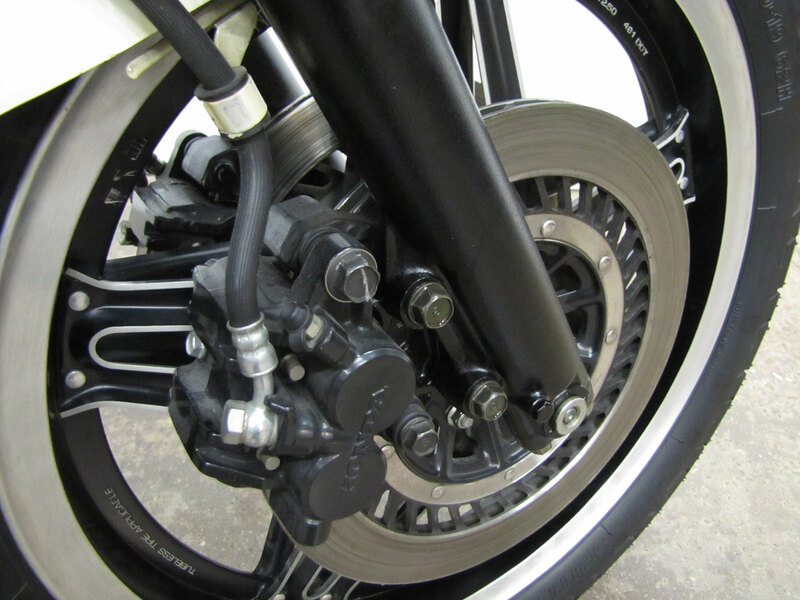 While not necessarily the fastest, it was certainly a benchmark in design, fit and finish and application of technology. 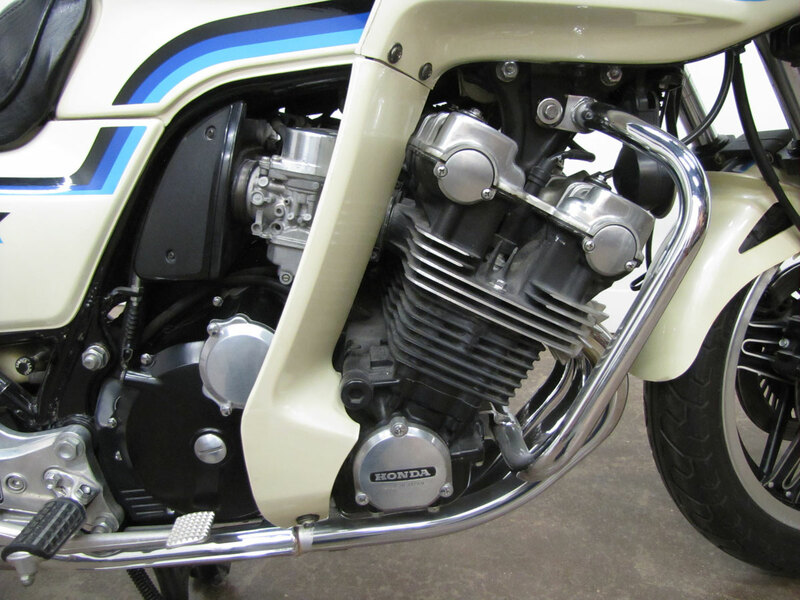 The engine sat boldy in the frame extending from under the fuel tank on both sides. 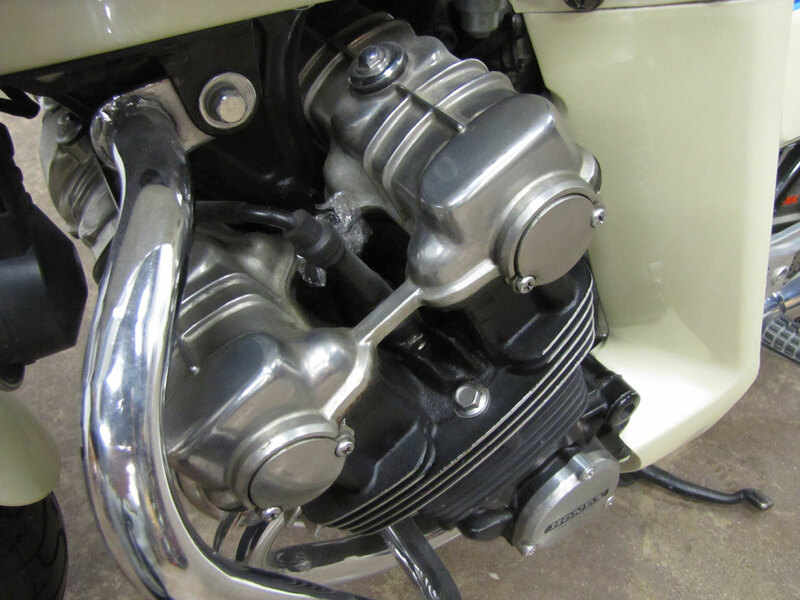 The cylinders sloped to reduce overall height, the generator was up behind the crankshaft to keep the motor as narrow as possible. 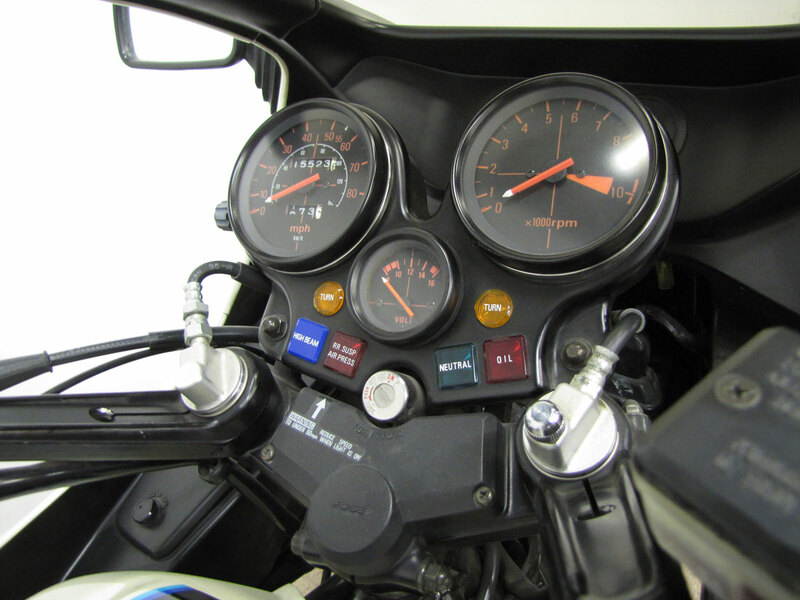 Gauges were the largest yet, tipped up reminiscent of the Vincent Black Shadow. 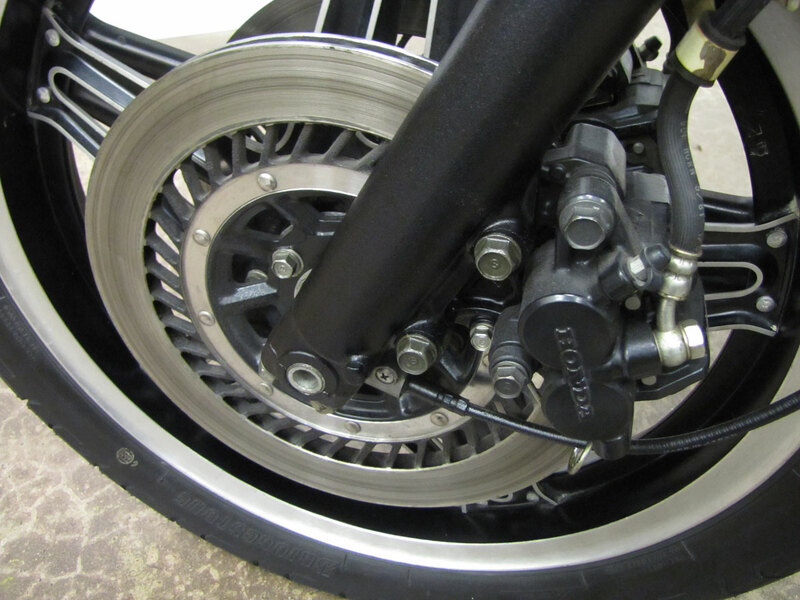 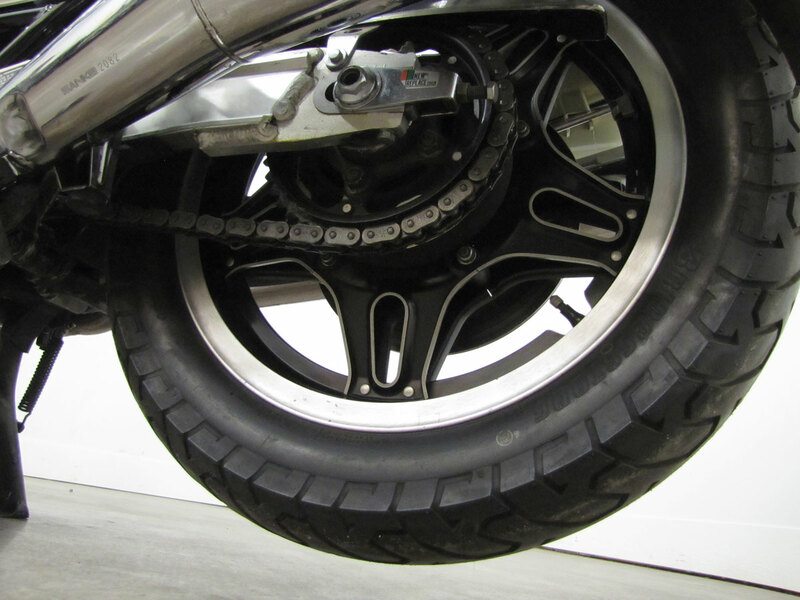 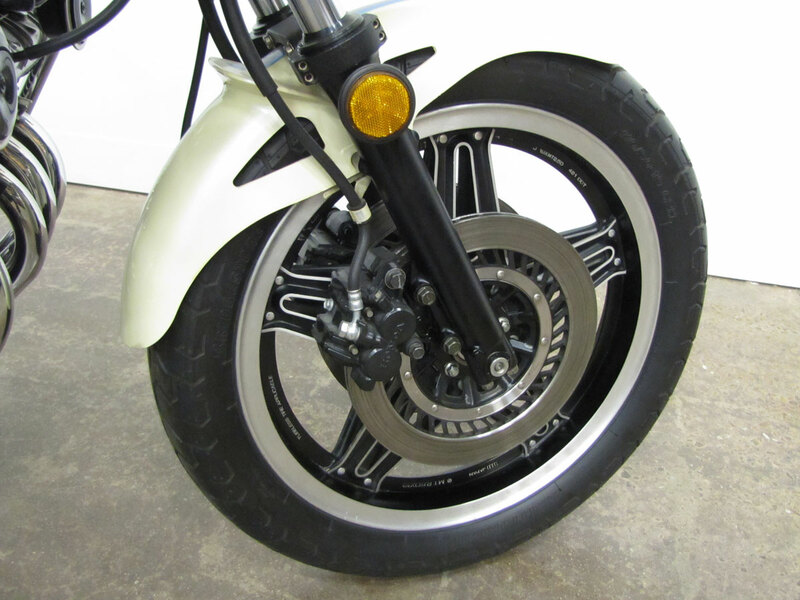 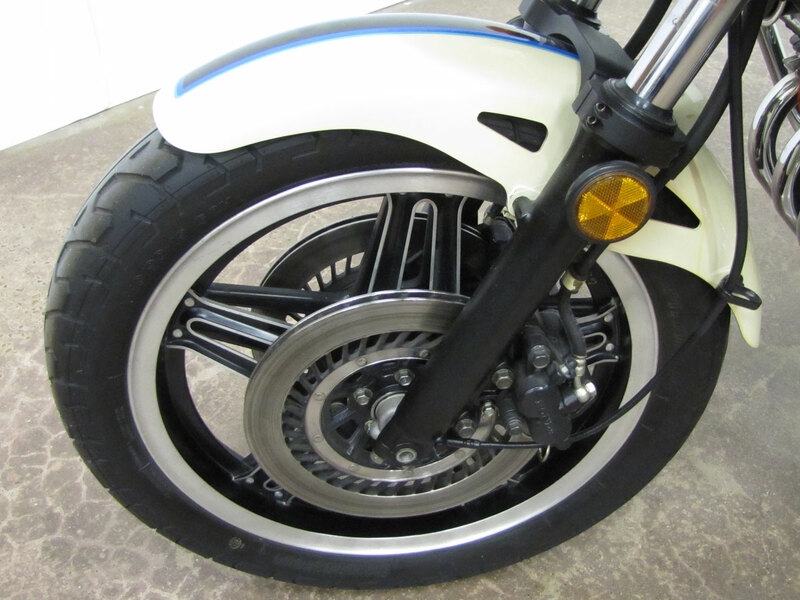 Wheels were new for 1978; Comstar wheels built up from riveted aluminum extrusions and stampings. 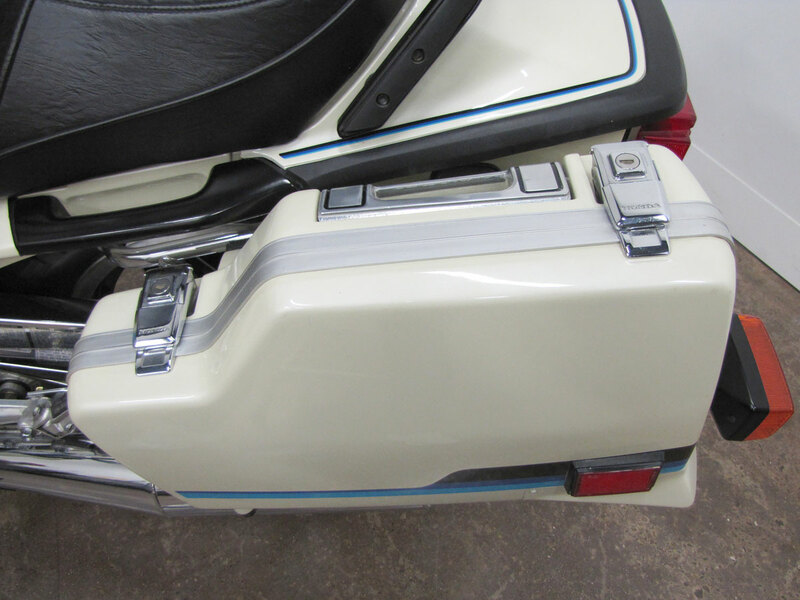 Deep candy apple red and silver were first year colors, then black was added. 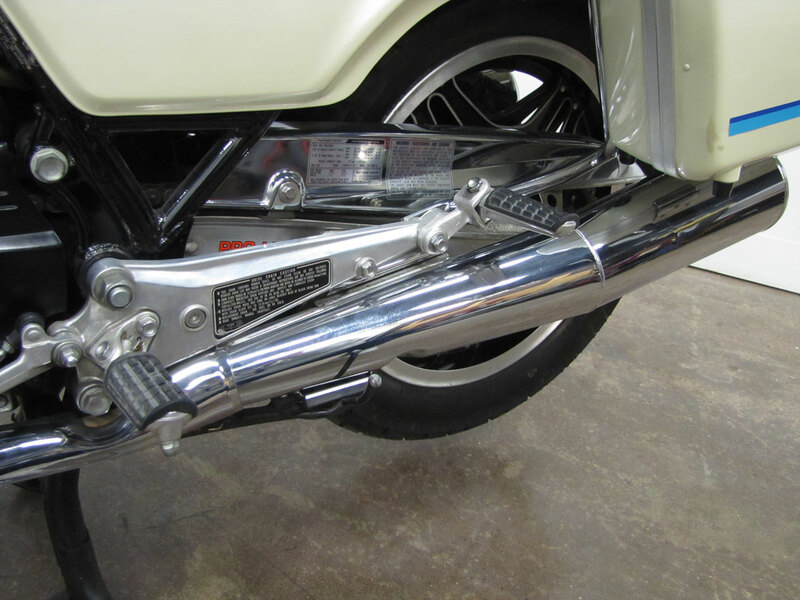 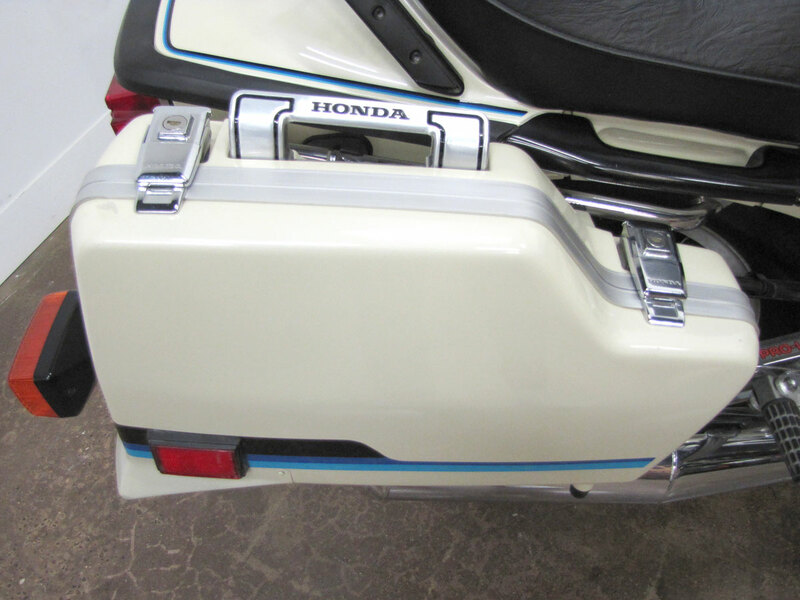 Later on the touring equipped 1981 and 1982 machines, charcoal gray and pearl white were available. 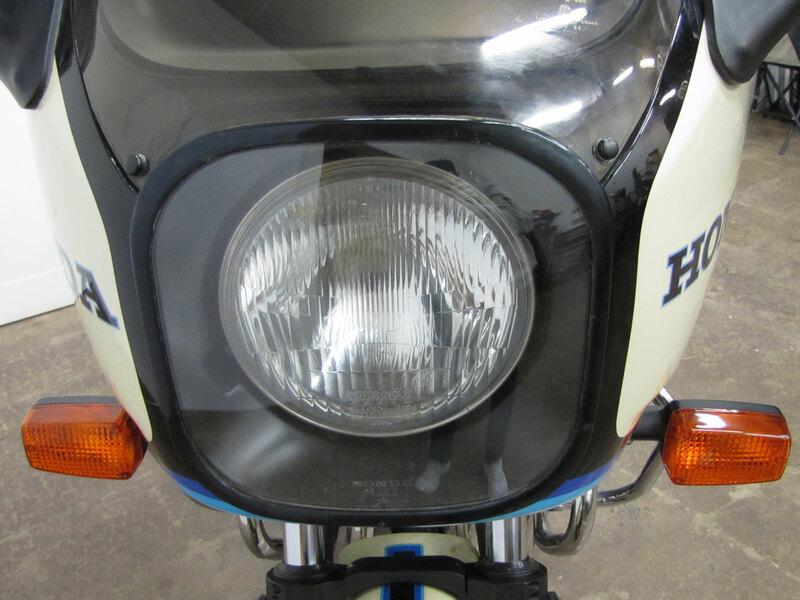 All models had highly detailed, attractive striping schemes. 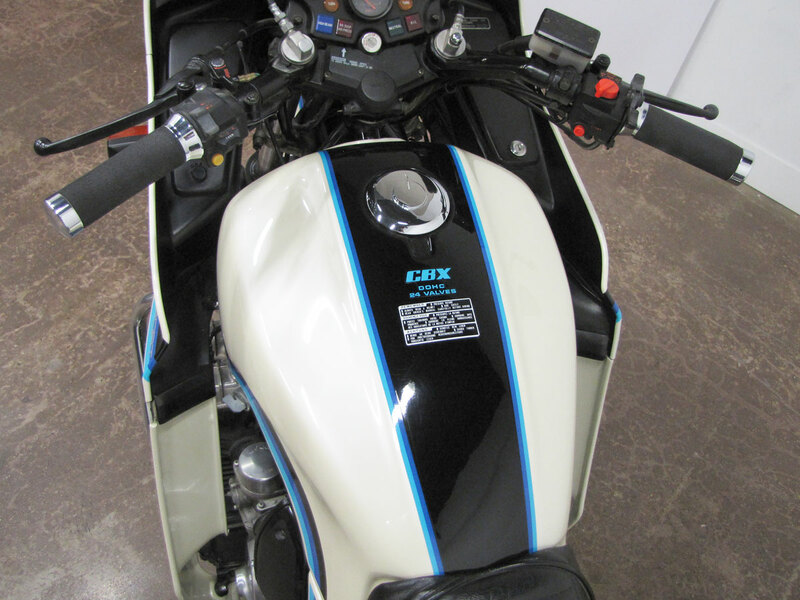 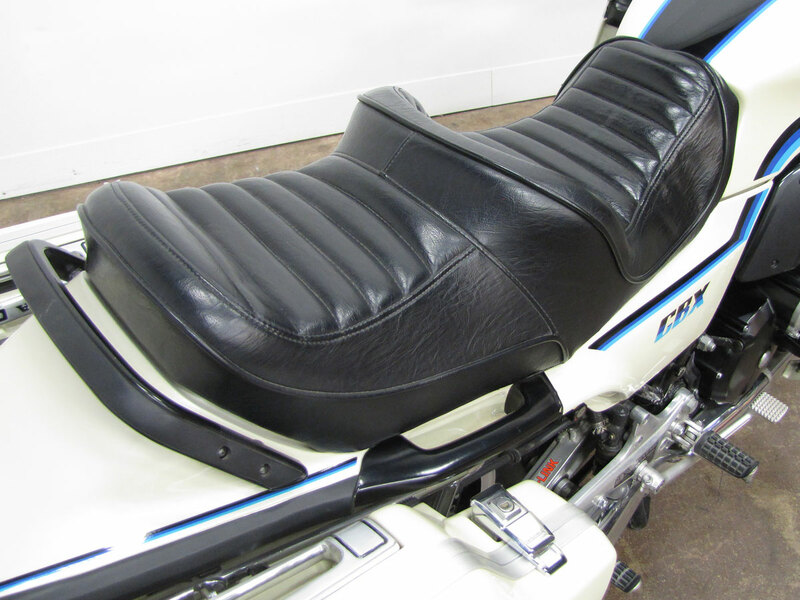 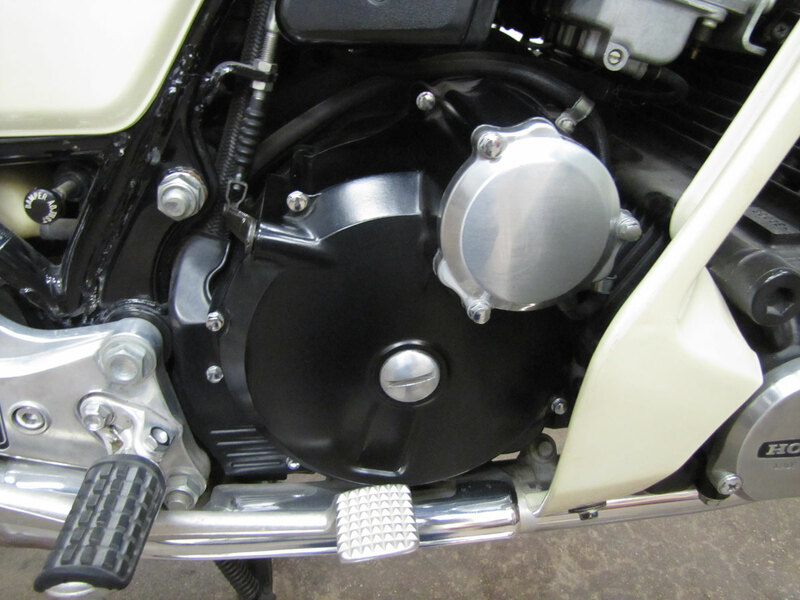 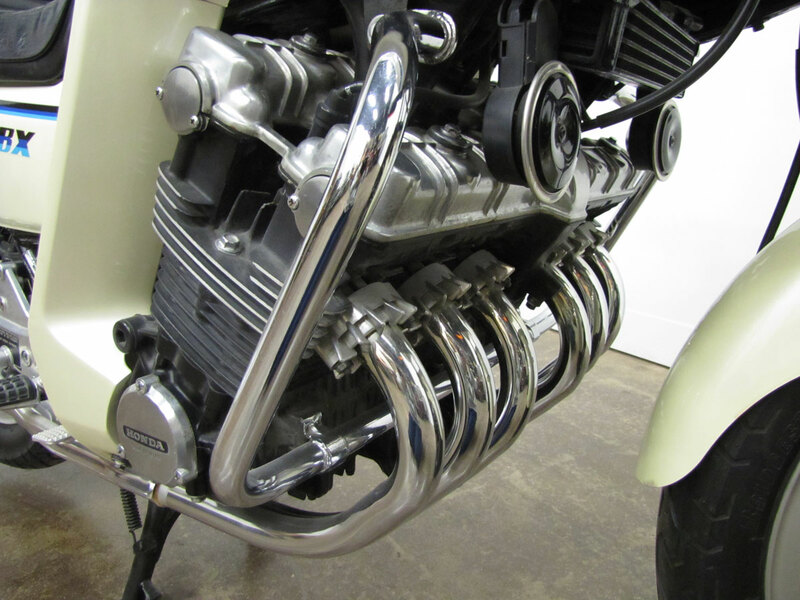 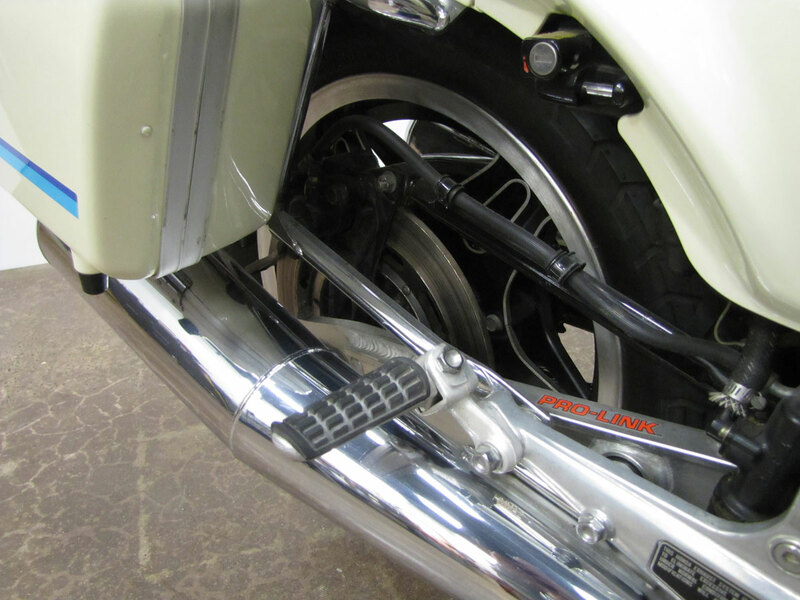 This CBX has had a more contoured after-market seat installed. 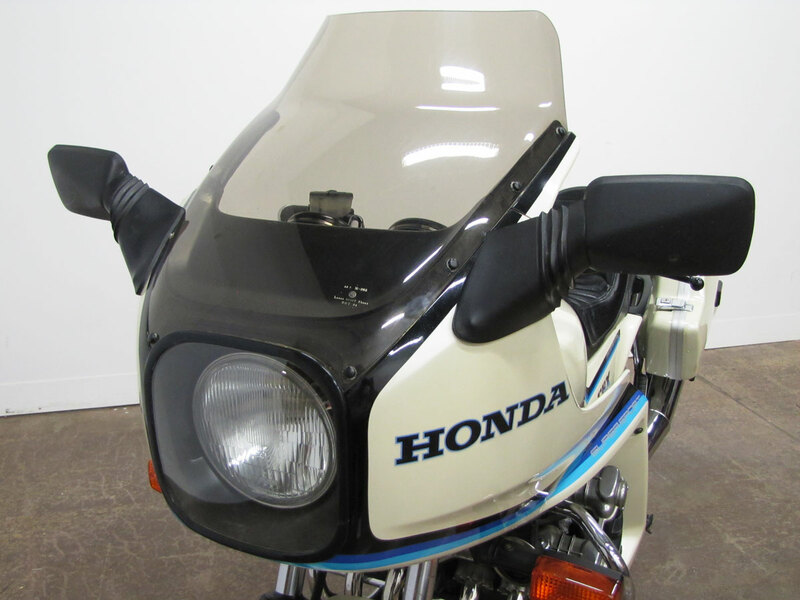 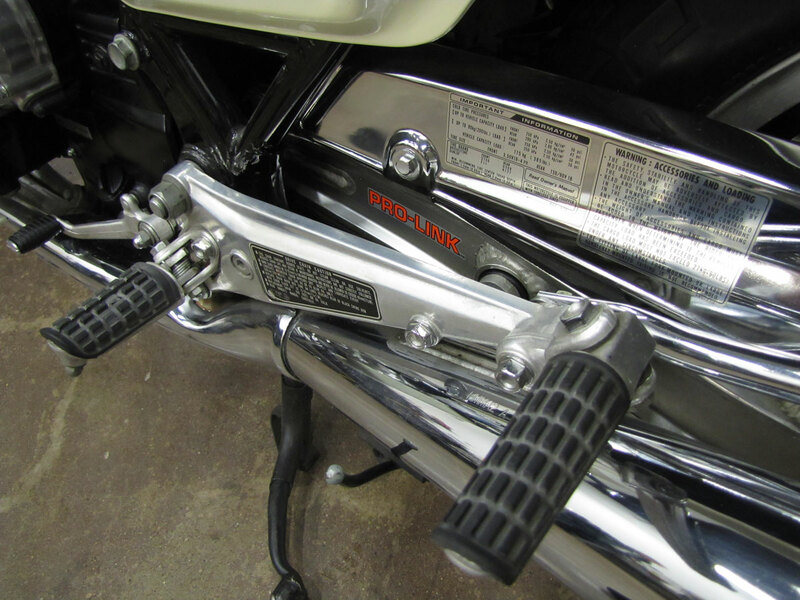 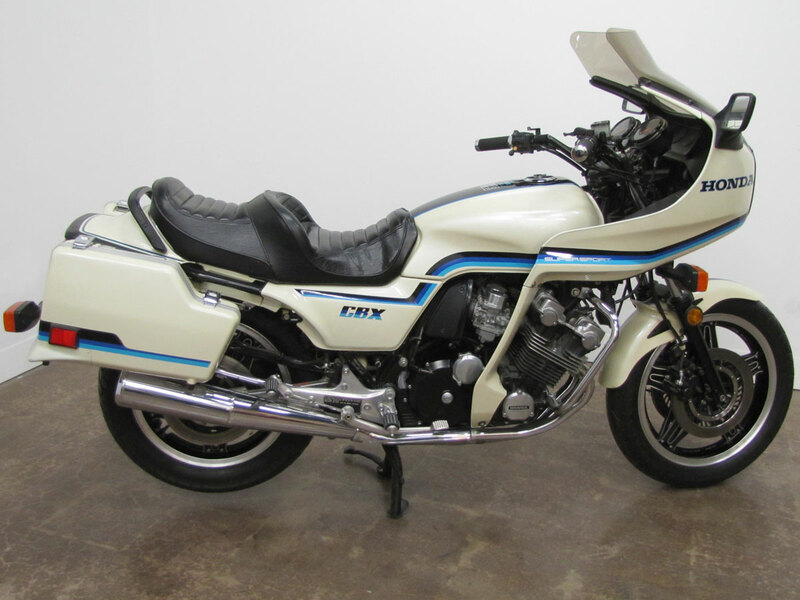 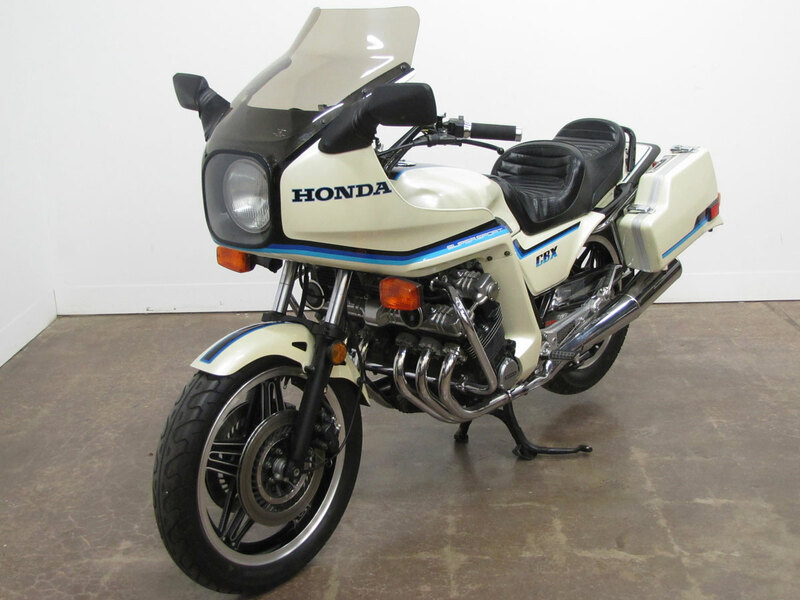 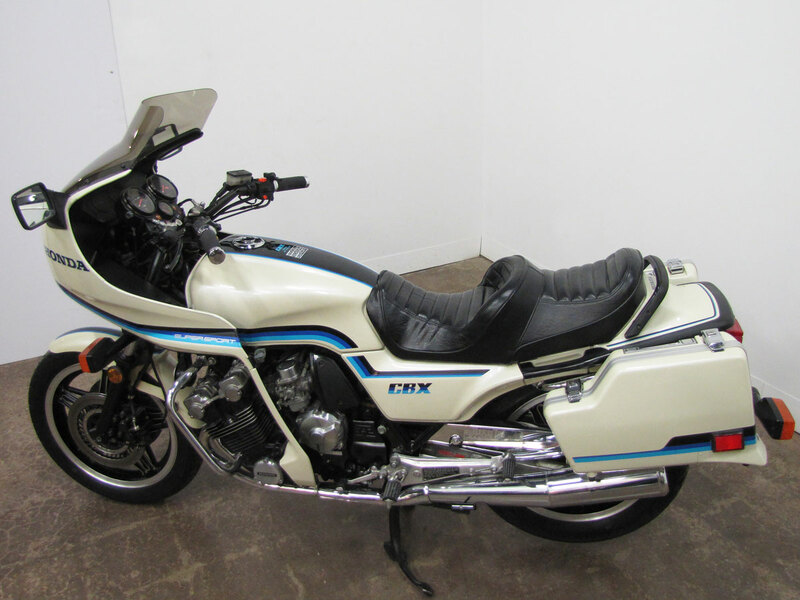 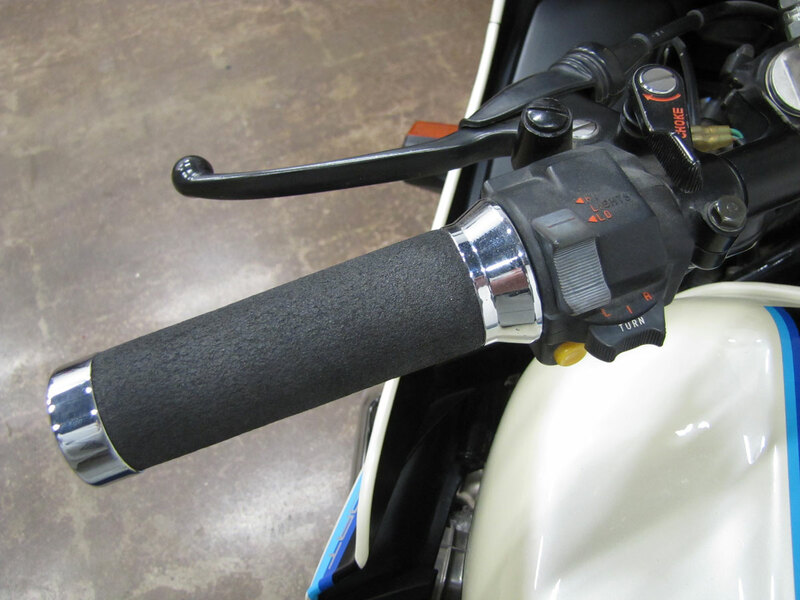 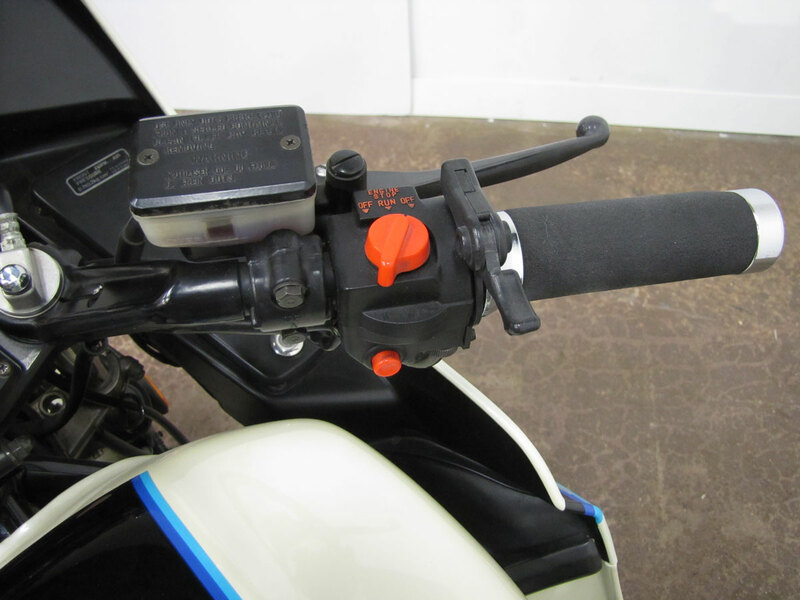 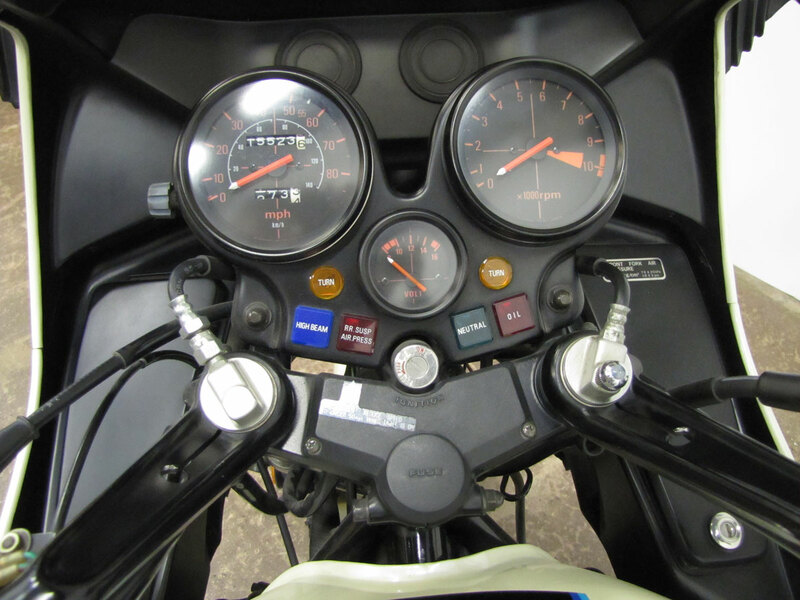 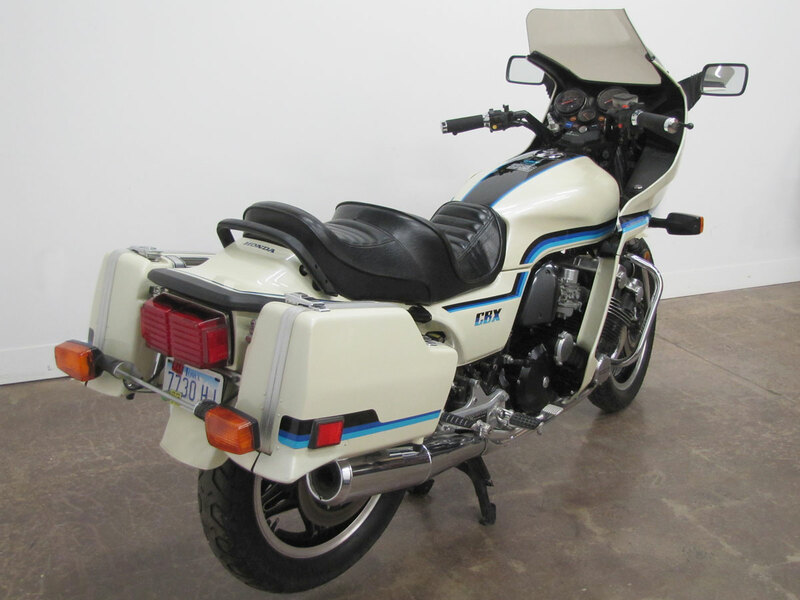 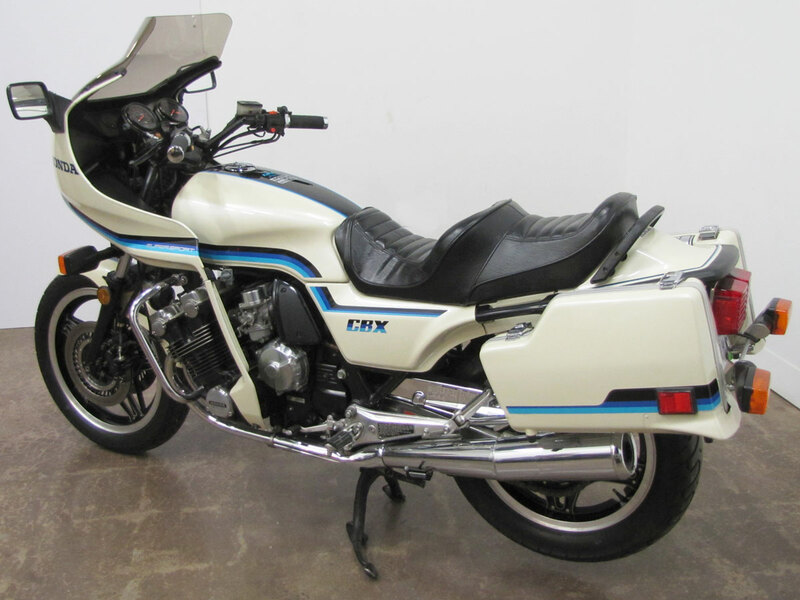 After 1979 and 1980 model years of the traditional twin shock CBX, some of which were the first off the line in Marysville, Ohio, Honda’s brand new United States-based facility, the bike was reconfigured. 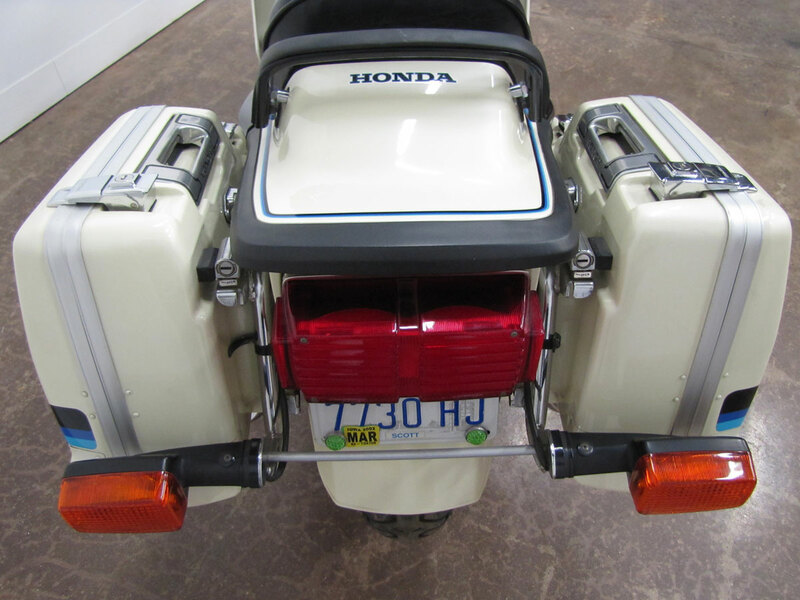 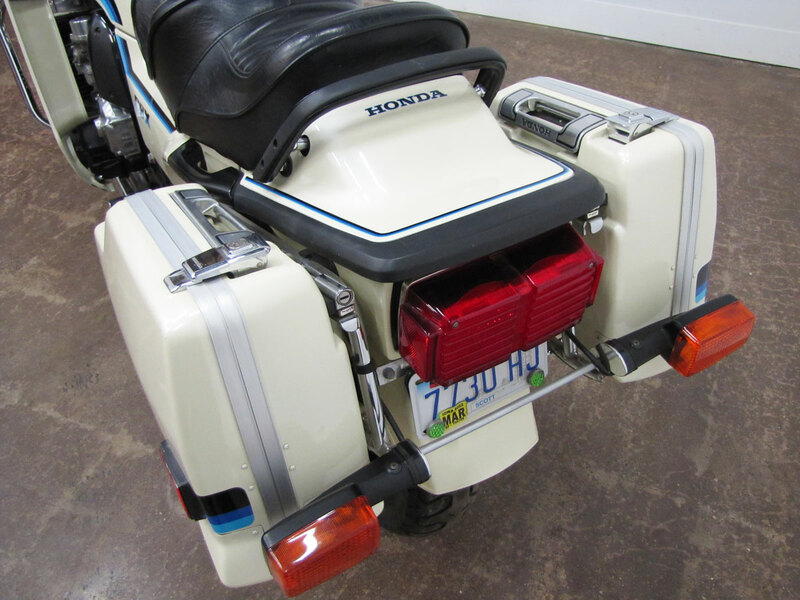 For the 1981 model year it became the factory assembled sport tourer you see here with a Hondaline fairing and saddlebags along with the Pro-Link single shock rear suspension and more substantial brakes. 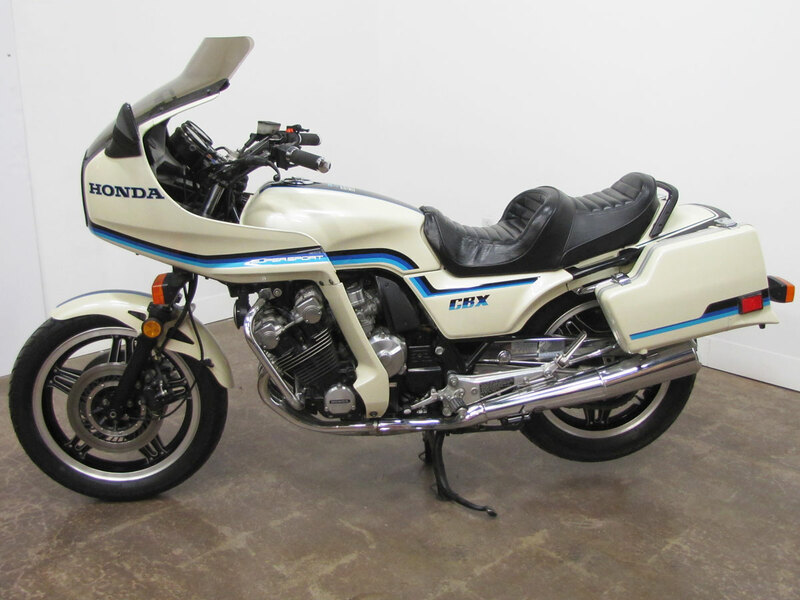 After just four model years in production, 1982 was the end for one of Honda’s most sophisticated designs, the CBX. 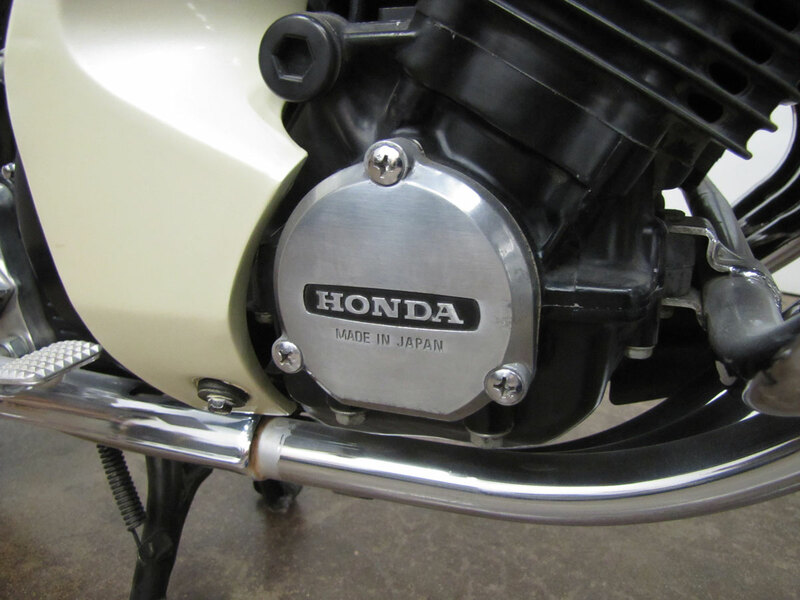 You may recall this was a tough time for the Japanese manufacturers. 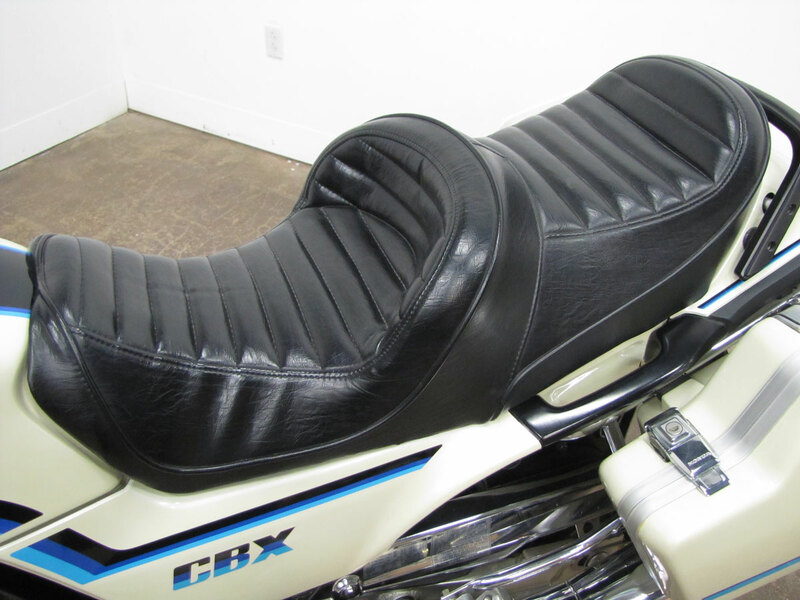 Sales were soft and many bikes, in spite of their excellence, sat in showrooms. 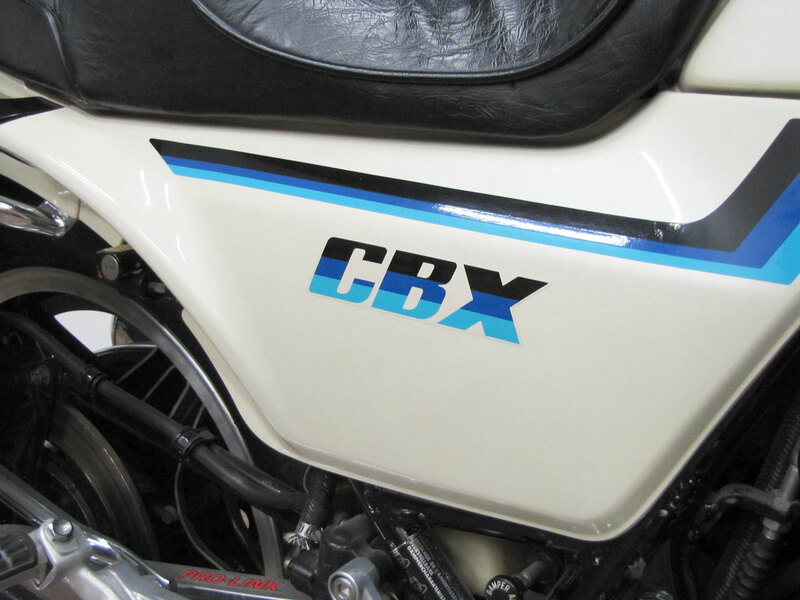 But today any CBX in stock trim and excellent condition is highly desirable, especially those from the first two model years. 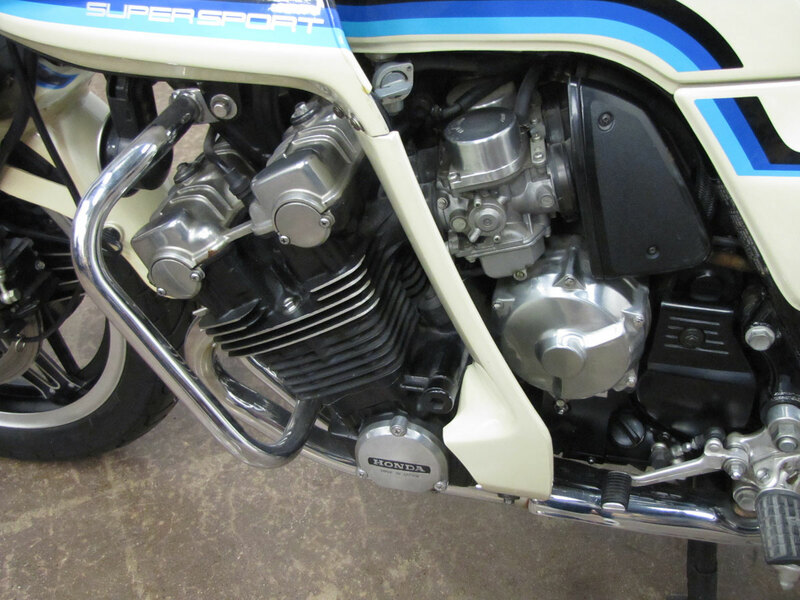 When you visit the National Motorcycle Museum you can check out a good number of super bikes including the original CB750K0, a 1983 VF750F Interceptor, a 1978 Kawasaki Z1R, KZ1000’s, Norton Commandos and the Grand daddy of performance, the Harley-Davidson Sportster.